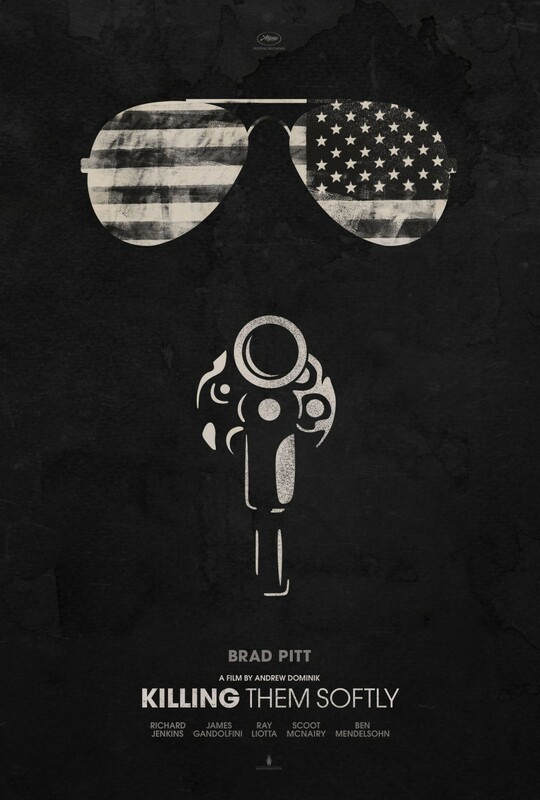 Where to begin on Killing Them Softly? This is a good film. Maybe even a great one. But there is plenty that hampers it. Perhaps a brief synopsis will help but not a lot really happens so maybe it won’t. The film initially centres around Frankie (played by up-and-comer Scoot McNairy) and Russell (Aussie Ben Mendelsohn who actually gets to play it Australian) as a pair of young crims, the latter a dog walking heroin addict, who rob a poker game that has more consequences both expected and not for everyone involved. Enter Brad Pitt’s hitman, Jackie Coogan, often seen conversing with mafia spokesperson Richard Jenkins and enlisted old-schooler, Mickey (James Gandolfini). They’re here to do a job but times are tough. Set to the backdrop of the 2008 Presidential election campaign, Killing Them Softly is ultimately about economics. Or at least it wants to be.